Many of my patients ask me, “what got you interested in treating pregnant women?” They glance around my treatment room, noticing the pregnancy and birth inspired art on my walls and books on my shelves – a nod to my clinical focus. My interest in perinatal care goes back to my college years, when I first laid my hands on an expectant mom. I remember the days spent learning about reproductive systems, gestation, and the stages of birth. I was hooked, and I wanted more. I continued on to participate in both the pre/postnatal in-reach clinic and the BC Women's Hospital outreach, where I was able to treat moms who were experiencing high-risk pregnancies. Thus began my obsession with all things pregnancy and birth. 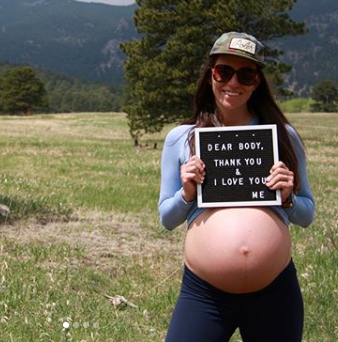 A few years into my practice, I had a good number of prenatal treatments under my belt, and a good feel for some of the most common complaints that moms-to-be have. It was around then that I learned I was going to experience it all for myself, as I was expecting my first child. I was lucky enough to have a complication-free pregnancy, though I still had my share of complaints! Lower back pain nearly did me in, and I had to decrease my work hours in order to manage. At 36 weeks along I was finally able to pass my patients on to another therapist, and I enjoyed almost a month of down time before my son arrived. I was fortunate enough to have a lovely home birth, and two and half years later, my daughter was also born at home in the comfort of a birth pool. My own experiences really showed me how amazing and powerful women’s bodies are, and how normal and primal birth can be when the process is allowed to unfold as it may, free of medical interventions. I also understand that sometimes, things don’t quite go as planned. In those cases, we’re very fortunate to live in a country where medical care and technology are so advanced; postpartum complications can be well-managed, and micro-preemies now have a chance at life. After experiencing pregnancy and birth myself, I became even more passionate about using massage therapy to support other women going through the same process. Over the years, I’ve completed several post graduate courses in pregnancy, labour, birth, postpartum, and paediatric care, and I've treated hundreds of expectant moms with a variety of pregnancy complaints. I understand that women have a lot of choice when it comes to care providers, and I always feel humbled when women entrust me with their bodies during such an important time. I have been there to witness the happy tears of first time moms very early in pregnancy, the nervous anticipation of impending birth, the heartbreak of fetal loss, and everything in between. I’ve felt babies roll and kick as I treated pelvic ligament pain, and then snuggled those babies (or worn them on my back!) in their first year of life when their moms came in for postpartum care. I’ve heard stories of triumphant home births and emergency caesarean sections, stories of sleep deprivation and breastfeeding challenges, stories of changed lives and unconditional love. Oh, how I love all the stories! While some may see pregnant women as fragile flowers who need to be treated gently and with caution, I see strong individuals who are doing a miraculous job: growing life. I’m not afraid to get into those stubborn tissues in an attempt to make each woman a bit more comfortable as her pregnancy progresses. The journey to motherhood can be difficult and emotional, and bearing witness to all of that beautiful mess has been the greatest privilege of my RMT career. If you want to book an appointment with Holly (yes, postpartum moms -- you can bring your baby!) check out our online booking portal. Or, you can learn more about Holly and her birth-geeked-out credentials here.